It's an honor to write about Pookie Hudson: one of the most recognizable voices in R&B is also one of its finest. Aided by the booming bass voice of Gerald Gregory and the rest of the Spaniels, Pookie turned out one great song after another. Thornton James Hudson (he received the nickname "Pookie" from an aunt) came into the world on June 11, 1934 in Des Moines, Iowa, although the family relocated to Gary, Indiana soon after he was born. Two of his cousins had names you might know: Josephine Baker and Thomas "Fats" Waller. When he was a child, these cousins would occasionally visit. Any wonder he wanted to sing? Other early influences were groups like the Charioteers, the Mills Brothers, the Ink Spots, and those new kids on the block, Sonny Til and the Orioles. In 1949, while still in Roosevelt Junior High, Pookie joined with Billy Shelton and Calvin Fossett to form the 3 Bees (they were occasionally the 4 Bees, with the addition of bass William Dooley). Continuing on through Roosevelt High School, they sang together until the spring of 1952, when all except Pookie graduated. That could have been the end of a pleasant episode, but Pookie was determined to sing. Some other classmates approached him about joining them at a December 1952 talent show at Roosevelt High (which Pookie was ready to enter as a soloist) and the result was the Hudsonaires: Ernest Warren (first tenor), Willie C. Jackson (second tenor), and Gerald Gregory (bass). Although still in high school, bass Gerald Gregory was already married. One day, his wife joked that the Hudsonaires sounded like "a bunch of dogs." Goodbye "Hudsonaires"; hello "Spaniels." In April 1953, Vivian Carter, a local DJ (on Gary's WGRY) and owner of Vivian's Record Shop, heard the Spaniels sing. She had just borrowed $500 from a pawn shop to set up Vee-Jay Records with her partner Jimmy Bracken (they would marry in December of that year). Another partner was Vivian's brother, Calvin Carter, the label's A&R man, who would be in charge of the recording sessions. 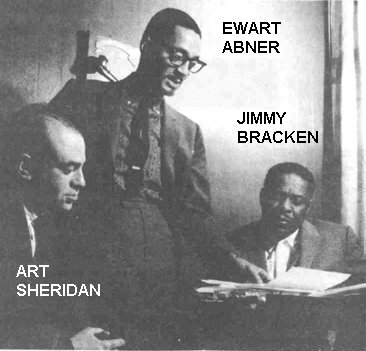 Ewart Abner (originally of Chance Records) was also involved, mostly in the business end. Finally, in the shadows was Art Sheridan, owner of Chance Records, a secret (and mostly silent) partner. 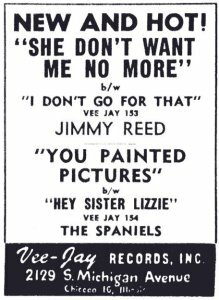 Of course, Vee-Jay was looking for talent to record (they'd already signed Jimmy Reed). The Spaniels became the first of many, many groups on the label. On May 4, 1953, the Spaniels recorded "Baby It's You," "Sloppy Drunk," "Since I Fell For You," and "Bounce" (which was led by Gerald Gregory). "Baby It's You" and "Bounce" were released that same month. Suddenly, "Baby It's You" began to take off, overwhelming the newly-formed label (they hadn't yet set up extensive relationships with distributors). Quickly farming the record out to the more established Chance label (owned by their silent partner, Art Sheridan) in June, they saw it climb to #10 on the national R&B charts. The nation had been introduced to the silky-smooth voice of Pookie Hudson. Calvin Carter would later say of the Spaniels: "[Gerald] Gregory was outstanding because his bass singing actually sounded like an instrument, and Pookie had that great quiver in his voice. And the Spaniels were the first group I remember who had two falsetto voices on top." Originally at 1640 Broadway in Gary, Vee-Jay would soon move their operation to Chicago, in order to take advantage of recording studios and loads of talent. 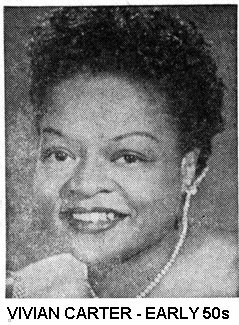 Vivian Carter also moved her Livin' With Vivian radio show to Chicago's WWCA. The Spaniels' next session was held on September 23, 1953. This time there were only three songs recorded, but what songs: "The Bells Ring Out," "Housecleaning" (another Gerald Gregory lead), and a little ditty called "Goodnite, Sweetheart, Goodnite." Actually, there was a fourth tune done that day: they backed up Clarence "Pro" McClam (the "Professor Of The Blues") on "Boot Um." "The Bells Ring Out" and "Housecleaning" became the Spaniels' second release, in October 1953 (if you don't count Pro McClam's release of "Boot Um" in September). There was some local action on this one (not all that much), but you've just got to wait a bit. 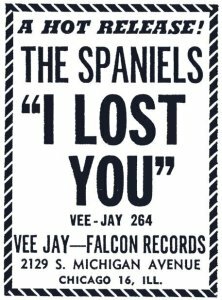 In spite of their records doing well locally, all the Spaniels (except Opal, who was still in high school) were working day jobs in Gary (mostly in the mills of this steel town) and only performing on weekends. However, in October, they signed with the Shaw Artists Corporation to book their appearances. Vivian and Jimmy tied the knot on December 16. I guess they could have gotten married at City Hall, but they opted for a more traditional wedding (at the headquarters of Ernie and George Leaner's United Distributors). There wasn't much time for a honeymoon, because on December 20, the Spaniels recorded another three songs: "Do-Wah," "You Don't Move Me" (with Gerald in the lead), and "Gerald's Blues" (Gerald again). "You Don't Move Me" was instantly paired with the older "Goodnite, Sweetheart, Goodnite" for release by the end of the month. The fireworks were about to happen. "Goodnite, Sweetheart, Goodnite" was a tune Pookie wrote for his girlfriend, Bonnie Jane Davis, whose mother would make him leave when it got late. As he walked home, he began composing it, night after night. Eventually, he brought it to the others and, even though, they weren't crazy about it, they all worked on it a bit. One guy who didn't work on it was Alan Freed. In spite of that, he wanted to have his name added to the writer's credits. That's a tough call. On the one hand, Freed (still in Cleveland) was a highly-influential DJ and would have played the record nightly; he also would have used them on his shows. On the other hand, why give credit (and possible royalties) to someone who had nothing to do with it. Pookie took the latter view and, as a result, Freed didn't play it (nor any other Spaniels record) and he never had them appear on any of his shows. "Goodnite, Sweetheart, Goodnite" wasn't an instant success. But it took off locally (aided by Gerald Gregory's bass riff used to keep everyone on pitch) and in several other markets before entering the national charts in May. By the time it finished it's run, it had climbed to #5 (as well as to #24 on the more desirable Pop charts), spawning covers by the McGuire Sisters (who rode it to #7) and Sunny Gale (#26). Their next session took place sometime in July, when they recorded "Let's Make Up," "Play It Cool" (led by Willie C. Jackson), and "Danny Boy." The Spaniels then joined the second annual "Rhythm And Blues Show," put together by the Gale Booking Agency. The other acts were: Roy Hamilton, the Drifters, the Counts, Faye Adams, Lavern Baker, King Pleasure, the Erskine Hawkins Orchestra, and the Rusty Bryant Orchestra. Kicking off in Cleveland on August 6, and ending up in Brooklyn on September 12, the show was to perform all over the East, Midwest, South and Southeast. We took for granted going to see a show, never realizing (nor probably caring) that what we saw was only a single performance out of a series of "one-nighters" that gave a performer a few minutes of exhilaration on the stage, followed by an awful lot of time crammed into some vehicle, desperately trying to make the next city. This particular tour hit 38 cities in 38 days, performing at arenas, auditoriums, and baseball parks. As they were winding up their road trip in September, Vee-Jay issued "Let's Make Up," backed with the oddball "Play It Cool." It had been nine months since their last release; a tribute to the success of "Goodnite, Sweetheart, Goodnite." 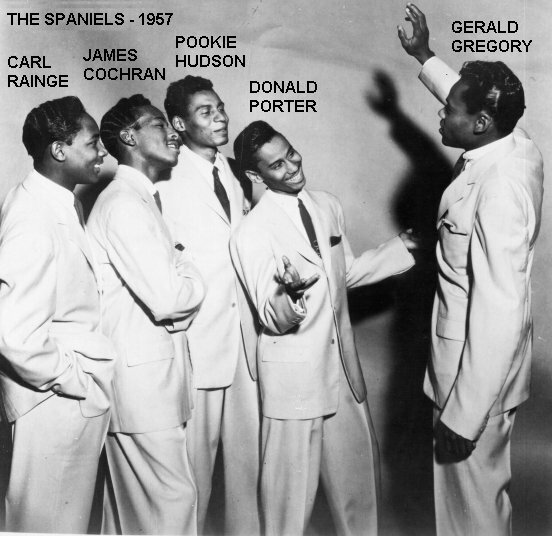 The Spaniels were booked into the Apollo Theater the week of October 8, 1954, along with Lavern Baker and Dud Bascomb. After missing his graduation to be with the Spaniels, Opal Courtney quit the group at the end of October 1954. He wasn't getting along with Gerald Gregory and had also gotten disgusted with the financial success they weren't having. Picking up where he'd left off, Opal opted to go back and finish high school. Once he'd done that, he joined the Air Force. (When Opal got out of the service, he joined the Dells for a while and was on their 1963 recording of "If It Ain't One Thing It's Another.") 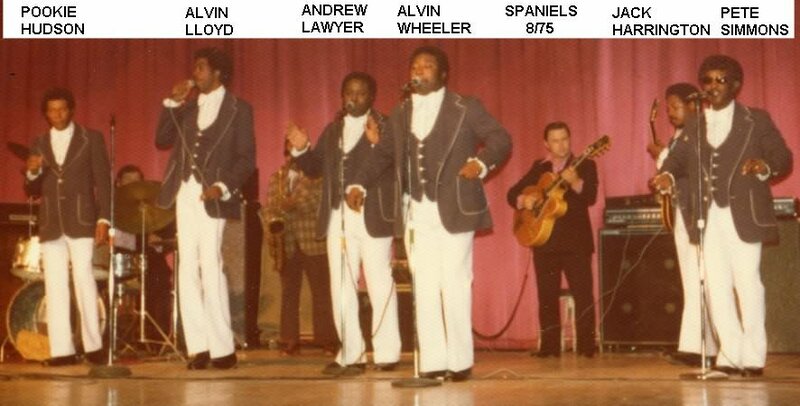 While the Spaniels were looking around for a replacement, A&R man (and road manager) Calvin Carter (who could do a reasonable baritone) appeared with them for a few months (and made it to a photo with the group). Opal's permanent replacement was baritone James "Dimples" Cochran. Another member during this period was guitarist Jerome Henderson, who was a friend of Gerald. He was with them for about a year. 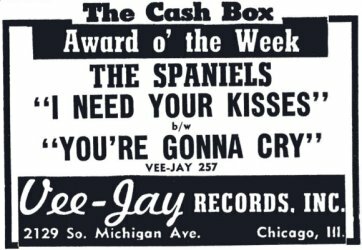 January 9, 1955 found the Spaniels at the Trianon Ballroom in Chicago. Headlining was Roy Hamilton, along with Jimmy Reed, Big Maybelle, Lavern Baker, the Flamingos, and the Counts. "Don'cha Go" was recorded on February 19, 1955, as the only song done that day. It was paired with the older "Do-Wah" for a March release. In April, the Spaniels played the Masonic Hall in St. Louis and in May, the Orchid Room in Kansas City. Then, they became part of "The R&B Show, Third Edition," along with Jimmy Reed. That tour lasted for five weeks. 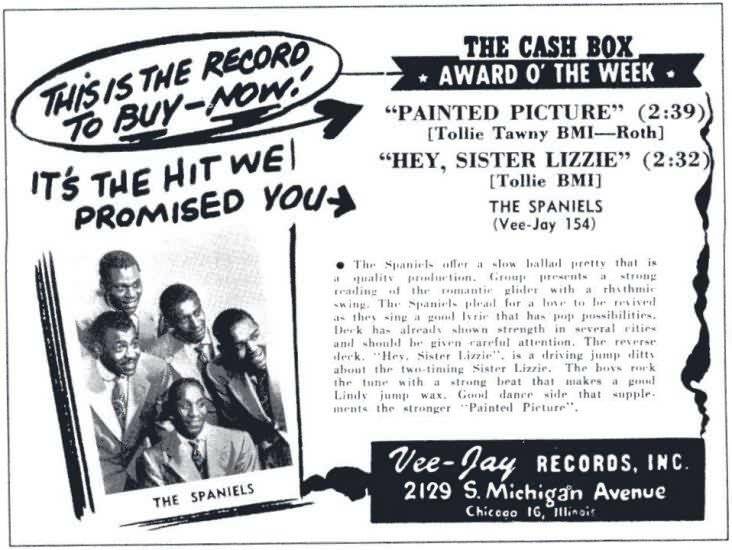 In July 1955, the Spaniels recorded the first, unreleased version of "False Love," "You Painted Pictures," and "Hey Sister Lizzie" (which was led by Ernest Warren). 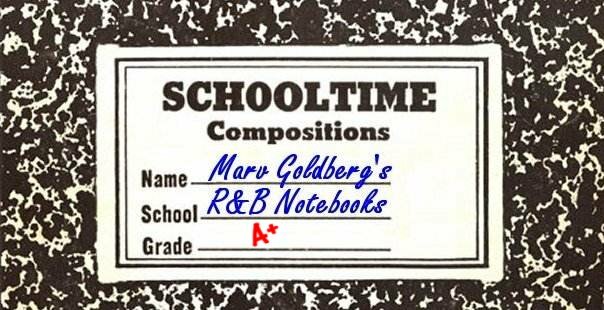 The latter two were released in August and "You Painted Pictures" climbed to #13 on the R&B charts. 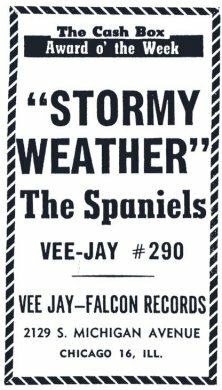 That same month the Spaniels were part of a tour of Vee-Jay artists, including the El Dorados, Billy Boy Arnold, and Tommy Dean. 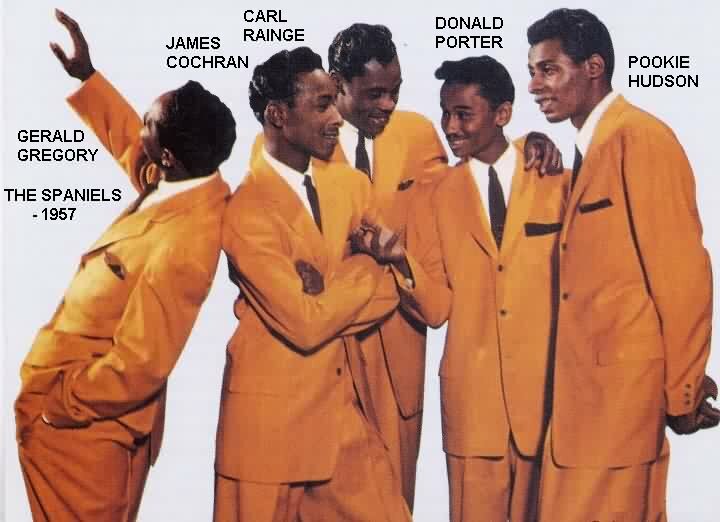 On August 19, 1955 the Spaniels began a week at the Apollo Theater as part of a Dr. Jive show. Other acts were: Bo Diddley, Big Joe Turner, the 5 Keys, the Hearts, Charlie & Ray, Dolores Ware, and the Buddy Griffin Orchestra, with Claudia Swann. On January 15, 1956, the Spaniels were at The Auditorium (in Kansas City) along with Jimmy Reed. Four days later, they were back in Chicago to record "Baby Come Along With Me," "Dear Heart," "Do You Really," and "Why Won't You Dance." On February 10, they were at the Colonial Theater in Milwaukee. This was followed by an eight-week gig at the Trianon Ballroom (Chicago). Others on the bill were Jimmy Reed, Joe Buckner, the El Dorados, and Tommy Dean's Orchestra. After the Trianon, the whole cast took to the road as the "Cavalcade Of Vee-Jay Stars." It would wend its way through Chicago, Milwaukee, Dallas, Tucson, Phoenix, Los Angeles, and Seattle. Also in February, Vee-Jay released "False Love" and "Do You Really." But there was trouble on the Spaniels' horizon. Uncle Sam stepped in and drafted Ernest Warren in March of 1956. This time, they decided to carry on with only four voices (Pookie Hudson, Willie C. Jackson, James Cochran, and Gerald Gregory). In truth, there really wasn't too much they could do, since they were in the middle of the Vee-Jay tour. However, in April, Willie C. Jackson quit. He'd recently gotten married and decided that a steady paycheck was preferable to sitting around wondering if he'd get paid for a record or a gig. James Cochran would bring in second tenor Donald "Duck" Porter to replace him, but that would be after Porter graduated Roosevelt High in June. Also in April, Vee-Jay issued "Dear Heart" and "Why Won't You Dance." Willie opted for a six-month "trial separation" from the group, but he never returned. The Spaniels were down to a trio, but there wasn't all that much work for them anyway. Not long after Willie C. left, Pookie Hudson also decided to quit. He too was married and the money wasn't exactly rolling in. Instead, Pookie opted for a paying job (helping to make boxcars for a company called General America). As a replacement, Gerald brought in Parmaley "Carl" Rainge, another friend of Cochran's. Cochran, Rainge, and Porter had been a trio who had hung around with the Spaniels from the very beginning. They'd been used as fill-in members over the years, so it was only natural that they'd inherit the job. Therefore, by June, the Spaniels were Carl Rainge (lead tenor), Donald "Duck" Porter (second tenor), James "Dimples" Cochran (baritone), and Gerald Gregory (bass). In July, Vee-Jay released "Since I Fell For You" (with Willie's bizarre echo to Pookie's lead). It was a real oldie, recorded at their first session over three years previously. Its flip was "Baby Come Along With Me." Without Pookie, the Spaniels became part of Irvin Feld's "Biggest Rock And Roll Show Of 56" tour that kicked off on July 1. It featured Carl Perkins, Chuck Berry, the Teenagers, Della Reese, Illinois Jacquet and his Rockin' Rhythm Band, the Cleftones, Shirley & Lee, Al Hibbler, and Bobby Charles. When it hit the Amphitheater (at Carr's Beach, Annapolis, Maryland), there was an overflow crowd estimated at 50,000, coming from four surrounding states. All the roads leading to the venue were jammed for miles around and it took the police seven hours to untangle the mess. By the fall of 1956, the Spaniels weren't doing well. Gerald was the only original member left and fans missed Pookie's voice. They all came to entreat Pookie to return and caught him at just the right time: his marriage had broken up and he had just written "Peace Of Mind." Therefore, by the time of their November 5 session, Pookie was back in the lead and the Spaniels had five voices once again. The four songs recorded that day were: "Please Don't Tease," "Jessie Mae" (led by Gerald), "I Need Your Kisses," and "You Gave Me Peace Of Mind." In December, to close out 1956, Vee-Jay issued "You Gave Me Peace Of Mind," coupled with "Please Don't Tease." 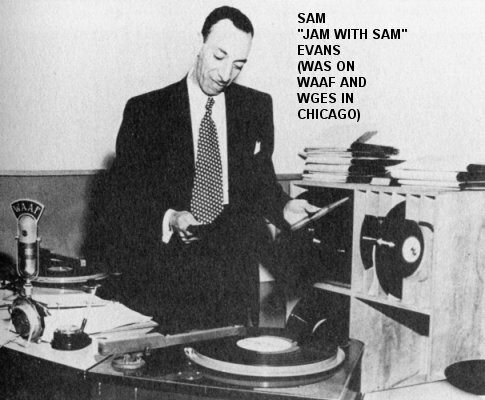 On December 24, the Spaniels were part of a benefit that DJ Sam Evans ("Jam With Sam") hosted for needy children at the Regal Theater in Chicago. Others on the bill were the Kool Gents, Muddy Waters, and Al Smith's Orchestra. On February 1, 1957, the Spaniels started a week at the Apollo Theater with the Buddy Johnson Orchestra, Ella Johnson, Chuck Berry, the Cleftones, and Clay Tyson. On February 22, they began a week at the Regal Theater, in Chicago. The rest of that cast was Screamin' Jay Hawkins, Priscilla Bowman, Gene & Eunice, Brook Benton, the El Dorados, Big Joe Turner, the Rhythm Kings, Arthur Prysock, and Tab Smith's Orchestra. On March 12, 1957, the Spaniels were back in the studio again, recording "Everyone's Laughing," "I Lost You," "I. O. U.," and "A Lovely Way To Spend An Evening." However, the bass on this session wasn't Gerald Gregory, but Lester Williams. (Gerald had been jailed for non-support and, because Vee-Jay wouldn't loan him the $300 needed to settle the matter, he was gone for several months. It looks like Vee-Jay put Williams in the group.) "I. O. U." and "Everyone's Laughing" were paired for release that same month. "Everyone's Laughing" was another hit for the Spaniels, making it to #13 on the national charts. In April, Vee-Jay released a Spaniels album, entitled Goodnite, It's Time To Go. The lead track was, of course, "Goodnite, Sweetheart, Goodnite," but for reasons that escape me, it had been retitled. Of the other thirteen tracks, all had been previously released except "I Need Your Kisses." On the 17th, they appeared at the Regal as part of an Al Benson show, along with Big Maybelle, Nappy Brown, Solomon Burke, the Dells, Junior Parker, Screamin' Jay Hawkins, Bobby "Blue" Bland, Annie Laurie, and Al Smith's Orchestra. The Spaniels began another week at the Apollo on July 12, 1957. The other acts on the bill were the Dubs, the Cadillacs, Fran & Flo, Sil Austin, and Dale Hawkins. However, they were back in Chicago for the July 29 bash held to celebrate Vivian Carter's anniversary on WWCA. Also present were Ruth Brown, Paul Williams, Al Smith, the Dells, Dale Hawkins, Magic Sam, Dee Clark, Billy "The Kid" Emerson, Pee Wee Crayton, and Lillian Offitt. The next day, it was back to the studio to record "I Like It Like That" (led by James Cochran), You're Gonna Cry," and "Lucinda." August 30 found the Spaniels as part of the Al Benson show at the Regal Theater. For a week, they shared the stage with Sil Austin, Amos Milburn, Arthur Prysock, Ivory Joe Hunter, Lillian Offitt, and Tiny Topsy. September's "Biggest Show of Stars for 1957" featured Frankie Lymon, Fats Domino, Clyde McPhatter, Lavern Baker, Chuck Berry, the Spaniels, the Bobbettes, the Drifters, the Everly Brothers, Paul Anka, Johnnie & Joe, and the Paul Williams Orchestra. It kicked off on September 6 at the Syria Mosque in Pittsburgh. Also in September, "You're Gonna Cry" was released, with "I Need Your Kisses" as the flip. Their next session was held on November 26, 1957. On that day they waxed "Crazee Baby" and the first (unreleased) version of "Great Googley Moo." On December 6, they returned to the Apollo Theater, along with Clyde McPhatter, Moms Mabley, the Bobbettes, Stuffy Bryant, and Stewart & Oscar. "Crazee Babee" was issued in late December, with "I Lost You" as the flip. Soon after that, they performed both sides of their new release on American Bandstand. When Ernest Warren returned from the service, he re-joined the Spaniels as a sixth member. Ernest came back just in time for the March 1958 session, at which the Spaniels recorded their classic version of "Stormy Weather," along with the second version of "Great Googley Moo," "Tina," and "Little Joe." "Tina" and "Great Googley Moo" were released that same month. Therefore, for this session, the Spaniels were Pookie Hudson, Gerald Gregory, Donald Porter, Carl Rainge, James Cochran, and Ernest Warren. However, the Nightingales kept trying to have their song recorded. Finally, in Miami, they found the perfect vehicle: the Midnighters. 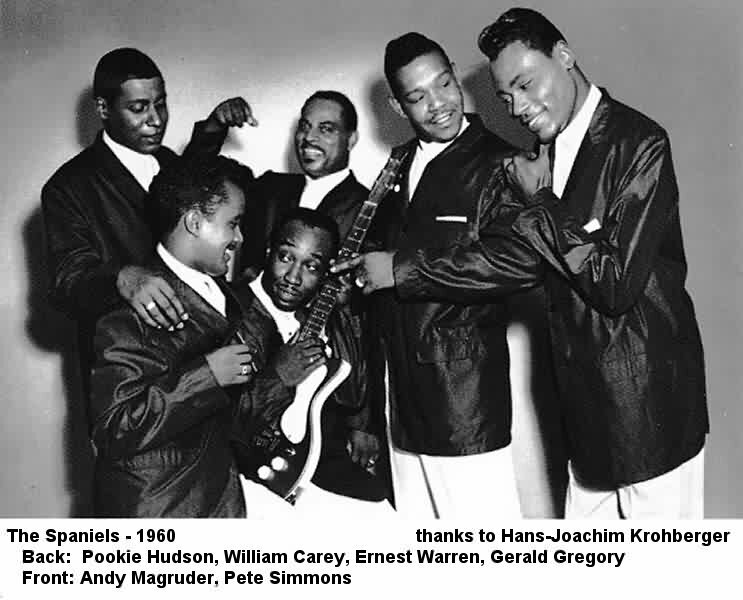 According to guitarist Cal Green, Hank Ballard liked it and the group made a demo which they sent off to, coincidentally, Vee-Jay (along with a tune called "I'll Pray For You"). Hank was sure that their King/Federal contract was about to expire and decided to give the Chicago company a try. Vee-Jay probably would have released it, but Syd Nathan informed the Brackens that he had picked up the Midnighters' option and they were still recording for him. Therefore, the original (and very different) recording of "The Twist" was kept hidden away until it appeared on a 1993 Vee-Jay CD. It was back to the Apollo Theater on April 4, where the Spaniels were part of a Dr. Jive show that also featured Fats Domino, the Coasters, the Dells, the Flamingos, and the Fidelitys. On April 18, the Spaniels appeared at the Flame Club in Indianapolis. Then, they were part of Al Benson's "Spring Festival Of Stars" at the Regal Theater. This show, which ran from April 25 through May 1, also featured Arthur Prysock, Ruth Brown, Wild Bill Davis, Nipsy Russell, and Sonny Boy Williamson. However, not too long after this, Carl Rainge quit and the group was back to a quintet. June 10 saw the Spaniels record "Lovey Dovey Baby Be Mine" (led by James Cochran), "Here Is Why I Love You," and "I'm Gonna Thank Him." In July 1958, "Stormy Weather" and "Here Is Why I Love You" were released. Surprisingly, "Stormy Weather" never made it to the charts, although they performed it on American Bandstand. On July 30, the Spaniels backed up Priscilla Bowman on "A Rockin' Good Way" and "I Ain't Giving Up Nothing." These songs were released, on Vee-Jay's Abner subsidiary, in August. While "A Rockin' Good Way" didn't do much this time around, it became a tremendous hit when re-done by Brook Benton and Dinah Washington in late 1959. 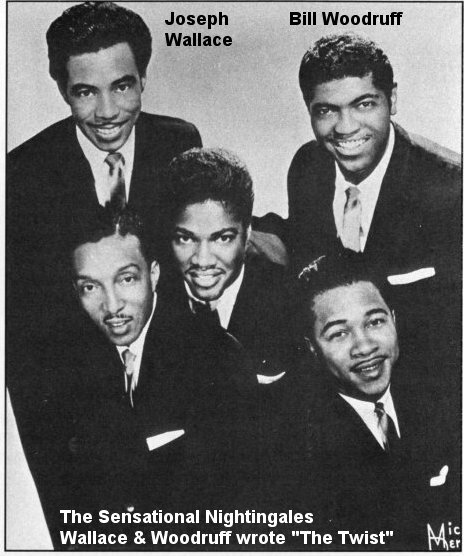 In September 1958, the Spaniels were off to the Uptown Theater (Philadelphia) for a Georgie Woods show, along with Jerry Butler & the Impressions and the Dells. All three groups then played gigs in the Baltimore and Washington areas, also appearing on the Buddy Deane and Milt Grant TV shows. The Spaniels' next session was held on October 17, at which time they laid down "Heart And Soul" (led by Gerald), "Trees," "Baby It's You," (an updated version of their very first recording), and "A Stranger In Love." The re-done "Baby It's You" and "Heart And Soul" came out in November. Christmas Eve 1958 found the Spaniels off on a 10-day tour with Roy Hamilton and Jerry Butler (who had recently split from the Impressions). In March 1959, Vee-Jay issued "Trees"/"I Like It Like That." May 22 found them back at the Apollo as part of a Jocko Rocket Ship Show. Others on the bill were Bo Diddley, Dave "Baby" Cortez, Bobby Day, Jesse Belvin, the Fiestas, the Cadillacs, the Heartbeats, Joe Medlin, and the Shirelles. However, by May, the once-mighty Spaniels were reduced to playing the Del Morocco Club in Chicago. 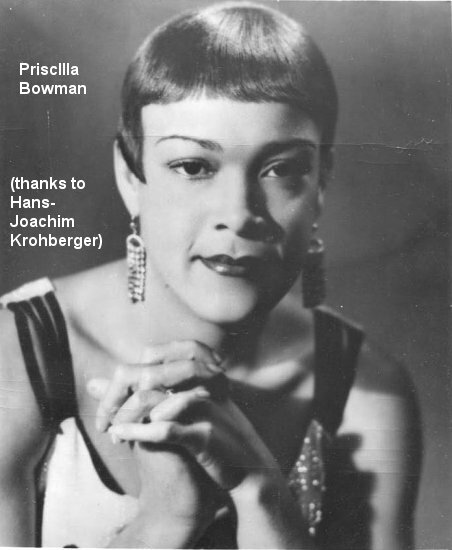 They shared the stage with such high-powered acts as Lola Lady Day (an "Afro Cuban" dancer) and Rickey "Hi Hi" Brown. While it took the Spaniels ten months to get back into the studio, when they did (on August 27, 1959) it was for a double session of eight songs: "100 Years From Today," "These Three Words," "The Posse," "Red Sails In The Sunset," "I'll Be Waiting," "Baby Sweets" (led by James Cochran), "People Will Say We're In Love" (led by Gerald), and "Automobiles." 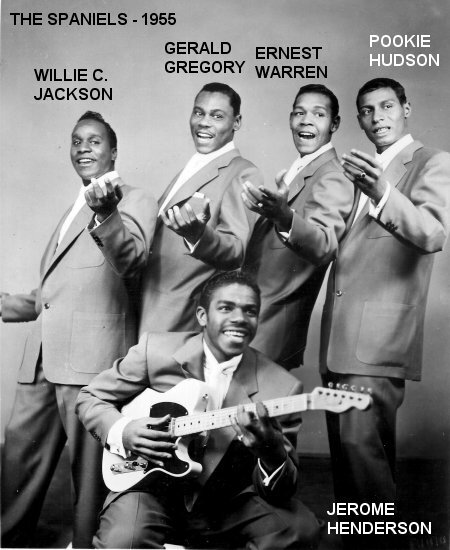 The group was still Pookie Hudson, Gerald Gregory, Ernest Warren, Donald Porter, and James Cochran. 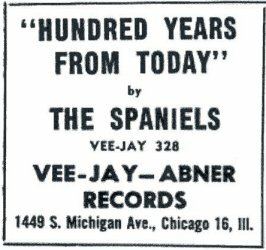 "These Three Words" and "100 Years From Today" were paired for a September 1959 release, but it was almost the end for the Spaniels/Vee-Jay connection. 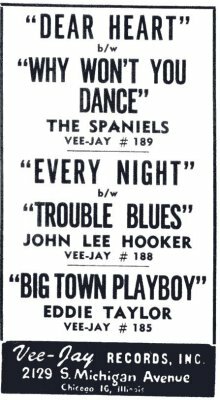 On October 19, 1959, the Spaniels were in Philadelphia, as part of a Kae Williams (WDAS) show, featuring Priscilla Bowman, Jimmy Reed, and Harold Burrage. However, by the end of the year James Cochran left, followed soon after by Donald Porter. The Spaniels needed members quickly. Andy Magruder, formerly of the Five Blue Notes (lead on "My Gal Is Gone") had been hanging around the group when they were in D.C. (He was mostly being a pest, but they needed members and here was a guy who could sing). Andy then brought in a couple of acquaintances: William Carey became the new baritone and Pete Simmons came on board as guitarist. 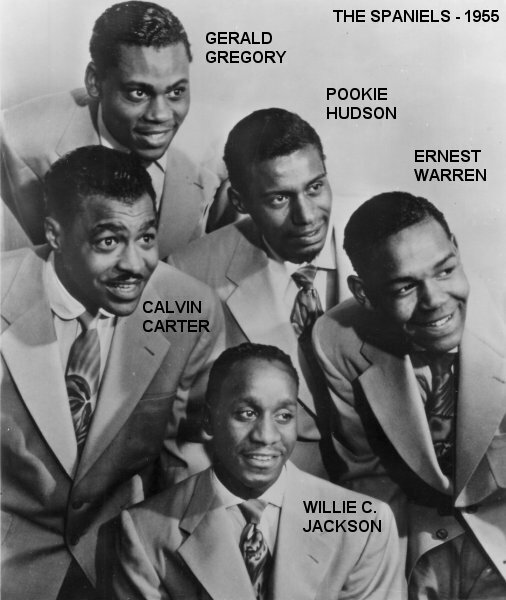 Therefore, the group was now Pookie Hudson, Gerald Gregory, Andy Magruder (tenor), Ernest Warren (tenor), William Carey (baritone), and Pete Simmons (guitar). In December, Vee-Jay issued "People Will Say We're In Love," coupled with a reissue of 1953's "The Bells Ring Out." Andy and William Carey took a song that Luther Dixon had written for Dee Clark, worked on it, and turned it into "I Know." Recorded on March 13, 1960 (along with "Bus Fare Home" and "So Deep Within," which was led by Gerald), when it was released in June, it became the first national hit for the Spaniels in three years (#23 R&B). The flip was "Bus Fare Home," on which Andy and Pookie share a duet lead. Also in June, Vee-Jay released the second Spaniels album. Called simply The Spaniels, it contained a dozen tunes including four songs that never made it to singles: "Little Joe," "The Posse," "So Deep Within," and "Baby Sweets." 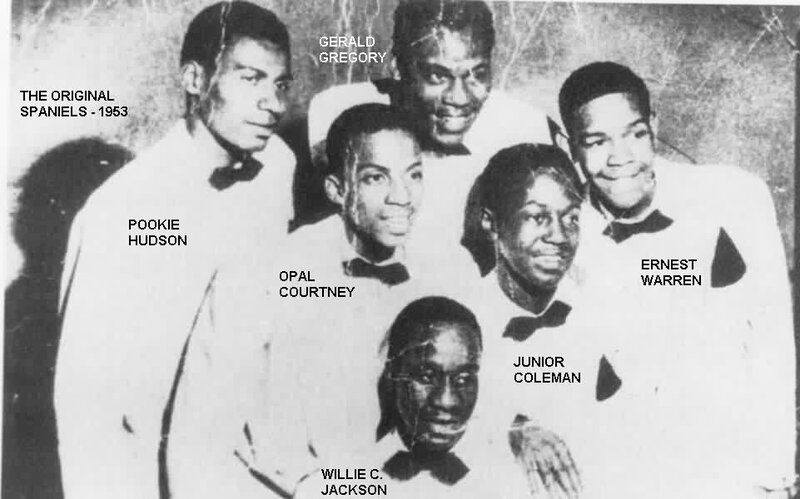 On September 2, 1960, they were part of a Jocko show at the Apollo Theater, along with the Crests, Danny & the Juniors, Bobby Freeman, the Blue Notes Jimmy Charles, and Baby Washington. They were back on November 18, this time with Jackie Wilson, Etta James, Johnny & Joe, Sugar Pie DeSanto, and Delores Coleman. And then it was all over; after seven years, the Spaniels and Vee-Jay were no longer associated. Even though they had a chart hit and an Apollo appearance, there wasn't much going on for the guys. Pookie said "We were no longer important to them at that point." Gerald Gregory, the only member who had been continuously with the group since its formation (we'll forget his jail time for non-support), left in the spring of 1961 to join Sonny Til's new Orioles. The Spaniels continued on, replacing him with their road manager, Ricky Burden. 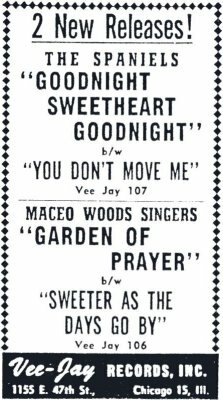 There were releases on Neptune ("I Love You For Sentimental Reasons"/"Meek Man") in July 1961 and on Parkway ("John Brown"/"Turn Out The Lights") in April 1962. After recording "(I Love You) For Sentimental Reasons" and "Miracles" for Lloyd Price's Double L label (which only had Pookie's name on the label), they finally broke up in the summer of 1963, soon after the record's August release. Also on Double L were a couple of Pookie Hudson solo releases (from April 1963). On these ("I Know, I Know" and "Jealous Heart"), he's backed up by Little Anthony's Imperials (Sammy Strain, Clarence Collins, and Ernest Wright). In 1966, he had another solo outing, this time on Jamie ("This Gets To Me"/"All The Places I've Been"). 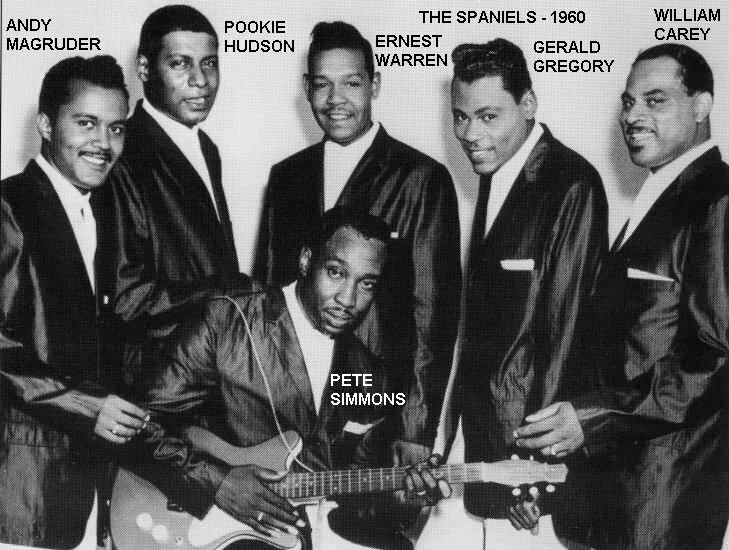 In 1964, Pookie teamed up with the Coasters (Carl Gardner, Billy Guy, Earl Carroll, and Dub Jones) to record a couple of tunes for the Chase Label as the "Individuals." "Pillow Wet With Tears" has Pookie in the lead; the flip, "Wedding Bells" has all the voices in unison. In December 1969, there was a single Spaniels record on Buddah: a re-recorded "Goodnight Sweetheart," backed with "Maybe." 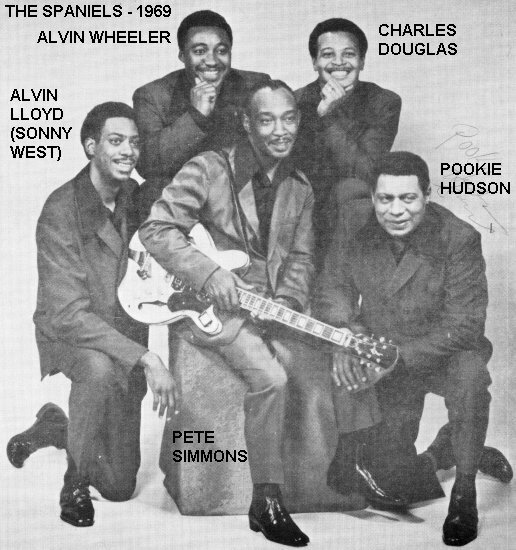 This group had Pookie, Charles Douglas (first tenor), Alvin Wheeler (second tenor), Alvin Lloyd (baritone; also known as "Sonny West"), and Pete Simmons (the guitarist from 1960, now singing bass). In 1970, Pookie started his own label, North American. The first release consisted of two old Double L masters: "Fairy Tales" and "Jealous Heart," both of which had been recorded with the Imperials. "Fairy Tales" started doing well enough so that it was reissued in July on the Calla label. This became Pookie's last chart hit, climbing to #45. Subsequent North American recordings were made by the same Spaniels group that had done the Buddah cuts. While that group basically remained together (although Andrew Lawyer had replaced Charles Douglas by 1975), the Spaniels' 1974 recordings of "Peace Of Mind," "She Sang To Me," and "Danny Boy" (released on Canterbury as a 3-song EP) were by Pookie, Donald Porter, Carl Rainge, James Cochran, and Lester Williams (the mysterious bass who'd replaced Gerald Gregory on the March 1957 session). 1987 saw a couple of Pookie Hudson solos on the Tacamtra label: "100 Love Songs (On The Radio)"/"This Song Will Last Forever." 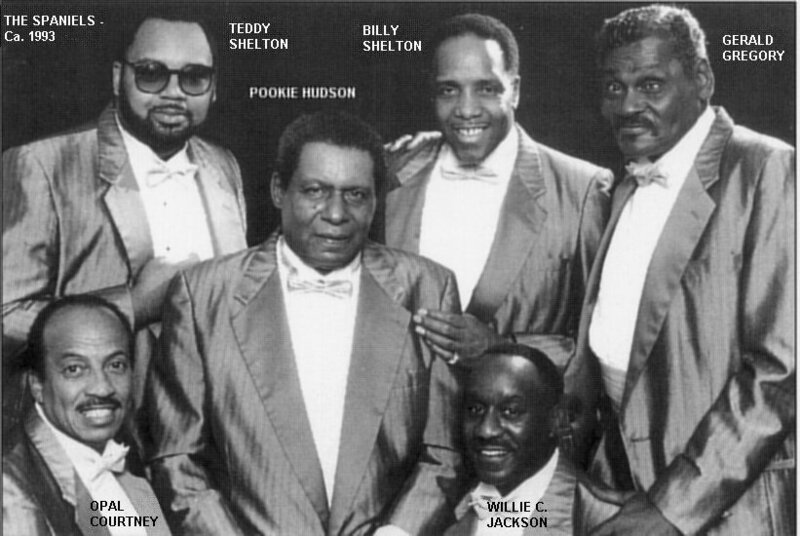 In 1993, some of the originals got back together for a few shows: Pookie, Opal Courtney, Willie C. Jackson, baritone Billy Shelton (from Pookie's original group, the 3 Bees), and Billy's son, Teddy (a baritone/bass). They were occasionally joined by Gerald Gregory, but he's not on any of the tracks they did for JLJ Productions (owned by Pookie) that year. The only single issued at the time was "Someone" and "One Day At A Time," but many of the other tracks found their way onto the Collectables CD called The Spaniels: 40th Anniversary. Finally, there's a Spaniels record on Classic Artists, released in July 1995. On this, Pookie's Spaniels are Moe Warren, George Spann, and Sonny Pate. This is a group he'd been singing with in the Washington, D.C. area. Actually, throughout the 90s, Pookie appeared with many versions of the Spaniels. 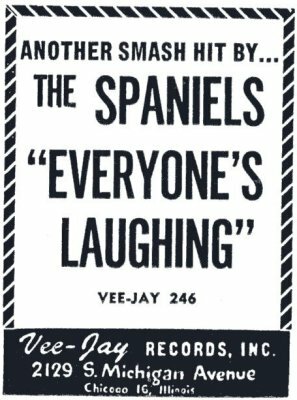 The Spaniels outlasted Vee-Jay, which went out of business in 1966. 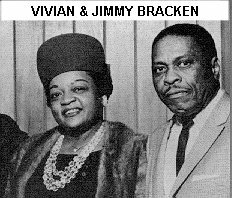 Vivian Carter died in 1989, Jimmy Bracken in 1972, and Calvin Carter in 1986. Gerald "Bounce" Gregory, booming bass voice of the Spaniels, passed away on February 12, 1999 from brain cancer. 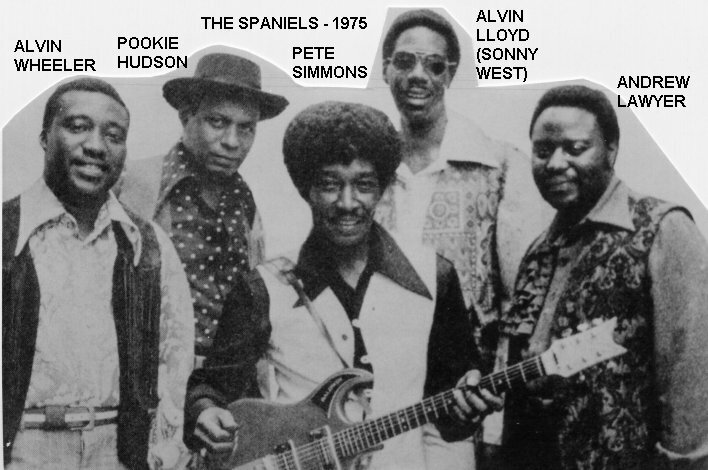 Pookie Hudson, the heart and soul of the Spaniels died on January 16, 2007 from cancer. Other original members Opal Courtney, Junior passed away on September 18, 2008 and Ernest Warren on May 7, 2012. In 2010, original member Willie C. Jackson is keeping the Spaniels alive. The other members are: Billy Shelton, Senior (one of the 3 Bees), Hiawatha Burnett and Charles Colquit (both from the Goldenrods), and Wilton Crump. There are few singers whose voices were so identifiable, yet so unique. There were loads of Bill Kenny, Clyde McPhatter, and Frankie Lymon imitators. There was only one Pookie Hudson! Special thanks to Ronnie I. Ads are from Galen Gart's First Pressings series. Discography courtesy of Ferdie Gonzalez and Disco-File.